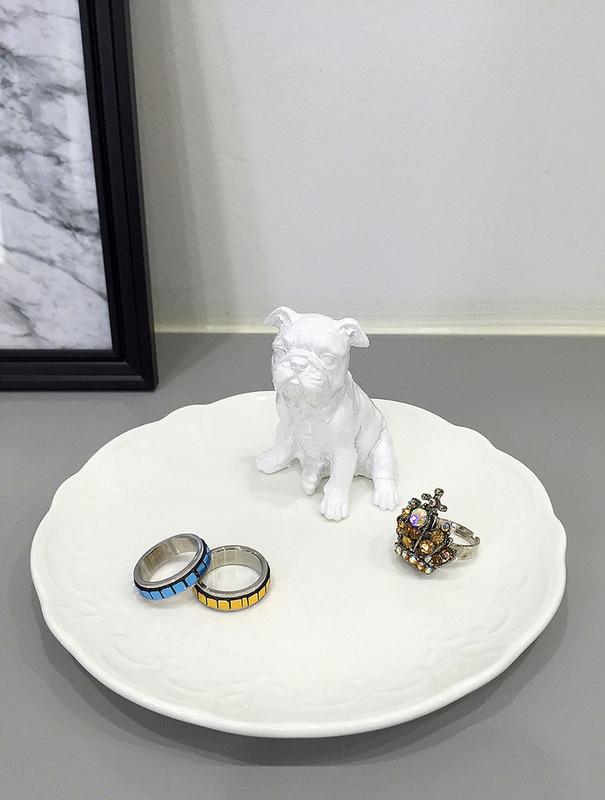 This cute bull dog ceramic dish is the perfect item to hold your favorite piece of rings, earrings, any jewelry and keys. 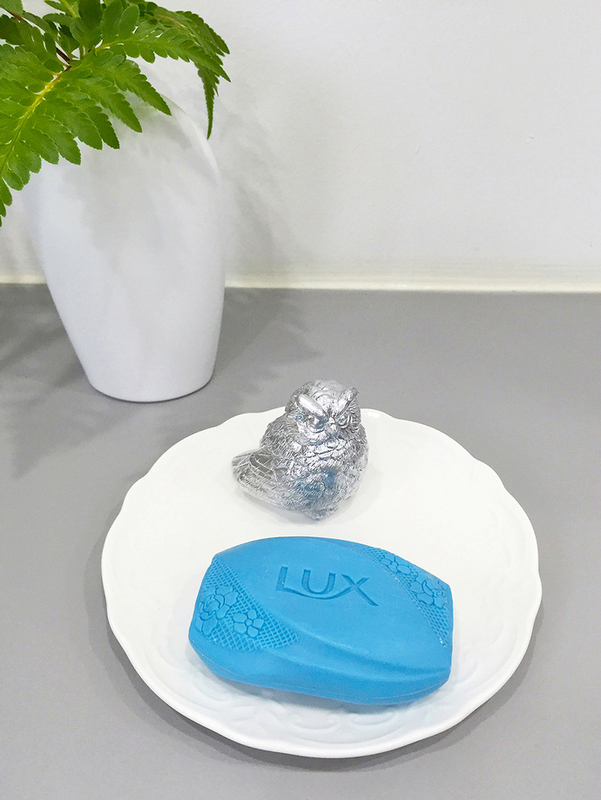 Perfect as soap dish in the bathroom and as home decor too. 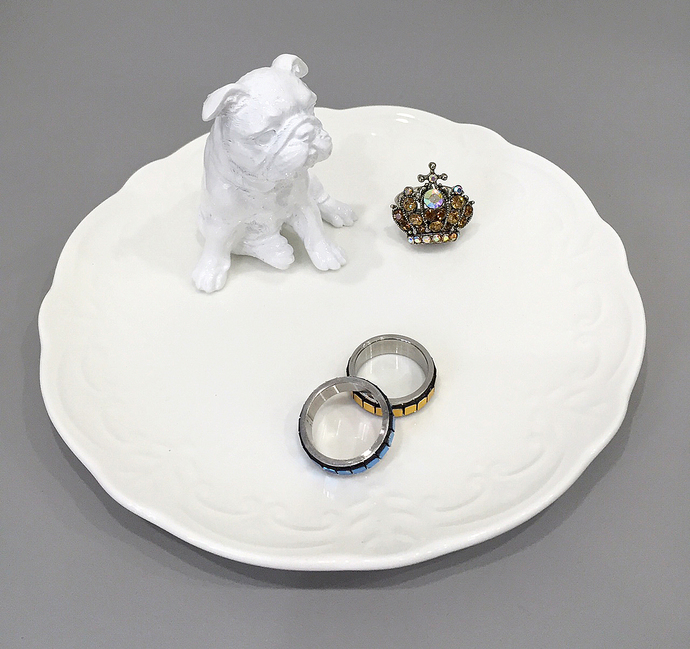 White ceramic dish measures at diameter of 15CM, while the resin Bull dog stands at height 6CM (2.36inch), is sprayed by me in glossy White paint. Fixed it on the dish with strong ceramic glue. 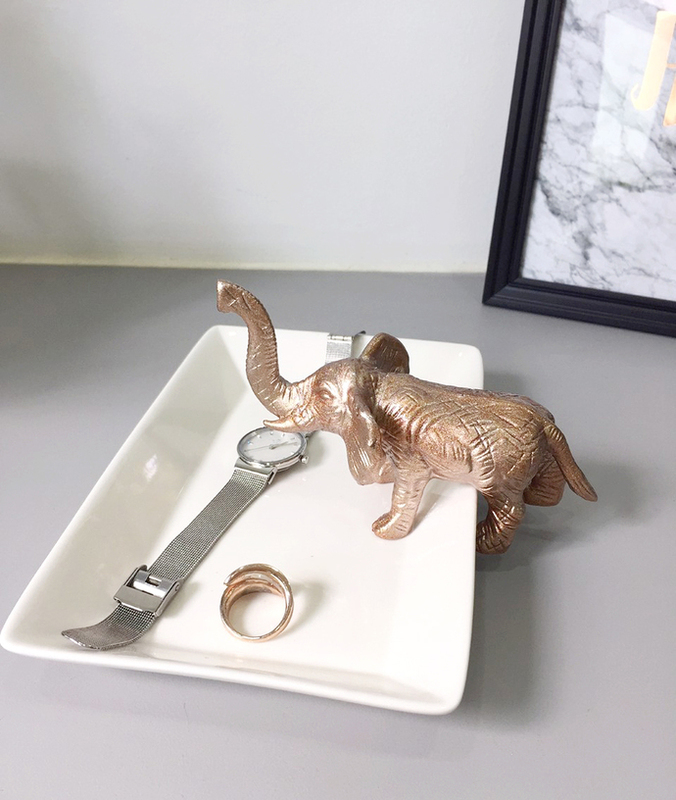 *Silver Owl, Mint Blue Deer and Bronze Elephant design are available in my Shop. *Wash in water. 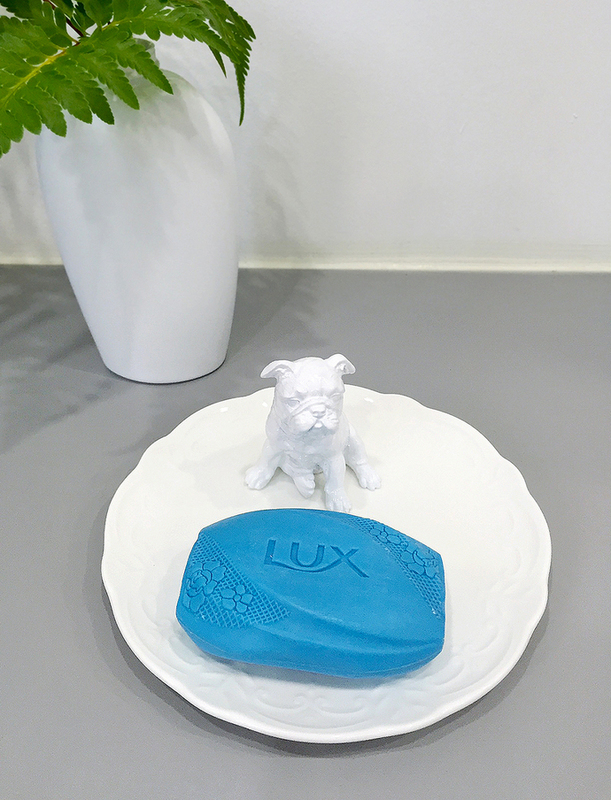 Avoid scrubbing on the dog.